So now the crap hit the fan, after spending all day on the phone with F5 support finally they were able to get us up and running again! Thanks F5 guys for working it out! Now actually getting to where you can submit your certificate is a little bit cryptic. After you buy it, you go to the Manage Certificates and your like, so now what? So you click the Credits, and then you click the refresh arrow, and then your credit will show up. So goto Local Traffic, SSL Certificates, Create, Give it a name, choose Certificate Authority, fill in the common name (I pretty sure this has to match the DNS entry) make it 2048 bits and fill in the rest of the stuff. Hit finished copy the encryption garbage into your clipboard and then paste it into the godaddy window that looks like this. Ok Godaddy will chug on it for a while and then you need to prove that you own the domain. The easiest way was to click on the ‘whats the hold up’ link for go daddy and the create the simple little html file proving you own the site. 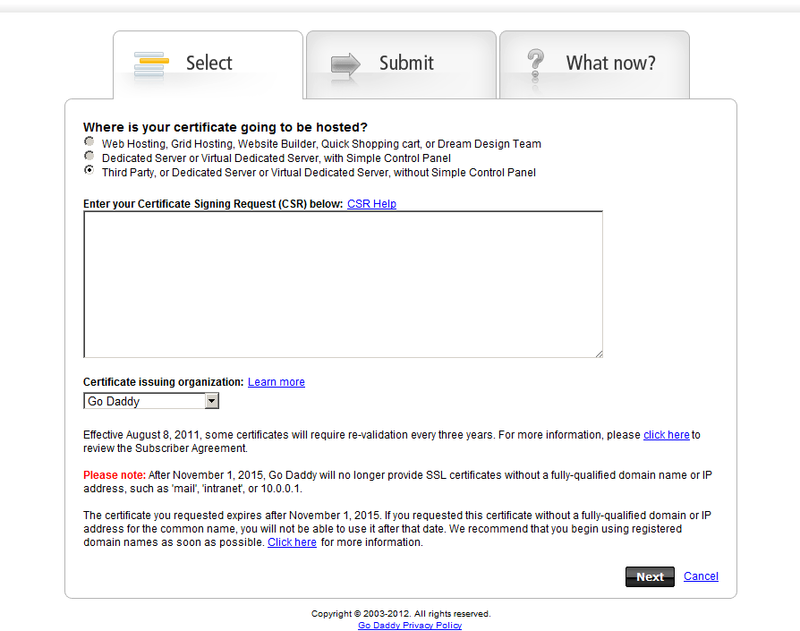 After you have proved you own it, then you can download the certificate, and the godaddy bundle. So now you need to import the certificate, and the key. So back to the Local traffic, SSL certificates screen, press import, give it a name (i chose one that matched the domain). There, now you have a server SSL certificate. You have to set your SSL client profile to use this for the certificate & the key. Ok, now are you ready for even more fun???? So in order to do this you need to create a certificate authority, create and sign client certificates, and then configure the F5 to use them, and then export in an iphone friendly format. Now ssh into your F5 box, I suppose you could do this anywhere openssl was installed. 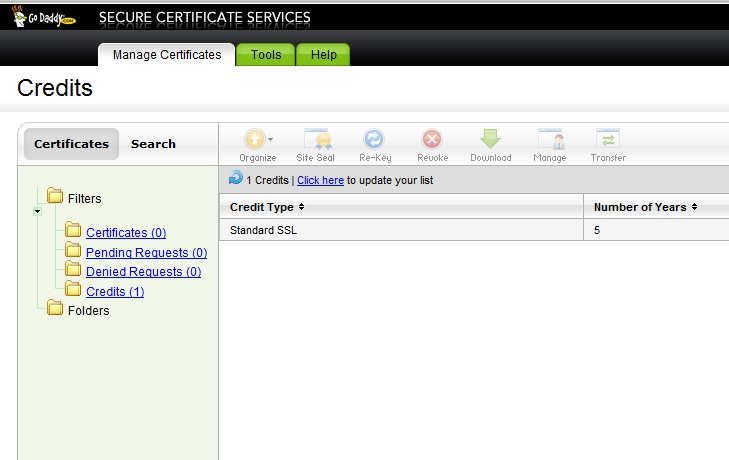 So now you need to import Your CA cert and Key into the F5, go to the same SSL certificate place. I named them the same and then the system combined them together into a Certificate & Key. I click my vpn profile and change the Trusted Certificate Authorities to my newly created one, and also changed the advertised certificate authorities to the new one. Then I email out the P12 to the iphone clients, change over the profile to use the new certificate and we are back in business! Few things have taken me closer to hara-kiri then working with certs. And the security folks wonder why more people don’t use them. I sometimes think there is a concerted effort to make them as insanely difficult to use as possible. Nice write up.